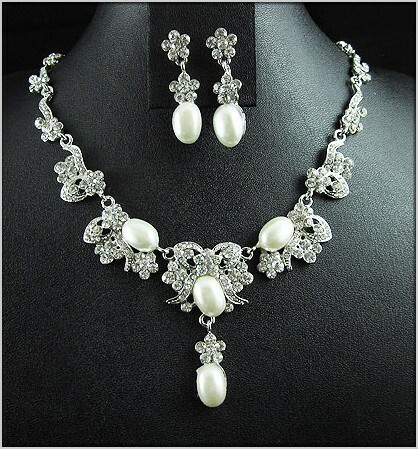 Enchanting Oval faux pearls and dazzling diamante form flowers and shields for virtually the entire necklace. All leading down to a delightful centrepiece featuring a bow, with its ties draping over an oval pearl, which sits on top of a second oval pearl topped with a shimmering flower. Sterling Silver-plated finish. Length: 36cm (14") + 5cm (2") extension.